drought : The Two-Way "Moderate to extreme" drought conditions already exist in about 55 percent of the continental U.S. No relief is in sight. There are warnings this could be one of the 10-most expensive weather disasters in U.S. history. On Monday, a weed was growing through the dry earth at Marion Kujawa's pond, which he normally uses to water the cattle on his farm in Ashley, Ill.
With about 55 percent of the continental U.S. suffering from "moderate to extreme drought" conditions the nation is withering under conditions that haven't been this bad since 1956, according to a new report from National Climatic Data Center. And this "worst-in-a-generation drought from Indiana to Arkansas to California is damaging crops and rural economies and threatening to drive food prices to record levels," Bloomberg News warns. The redder the area, the worst the drought. That's bad news for a U.S. economy still struggling to gain strength. As Bloomberg notes, agriculture has been "one of the most resilient industries in the past three years." But now, that sector is facing an awful time. Already, the U.S. Agriculture Department has designated 1,016 counties in 26 states as natural disaster areas — meaning hard-hit farmers in those areas can apply for low-interest emergency loans from USDA. According to Bloomberg, that's "the biggest such declaration ever." "Forecasters expect a high-pressure area to remain entrenched over the Rockies and central United States. As a result, any storm systems will probably track across southern Canada, missing the worst-affected areas. "The bottom line: No significant rain is expected." And it's going to be very hot in large parts of the nation again today and the rest of this week. Weatherunderground.com's current "severe weather" map shows heat advisories in states from Iowa and Missouri east through Pennsylvania and up into New England. 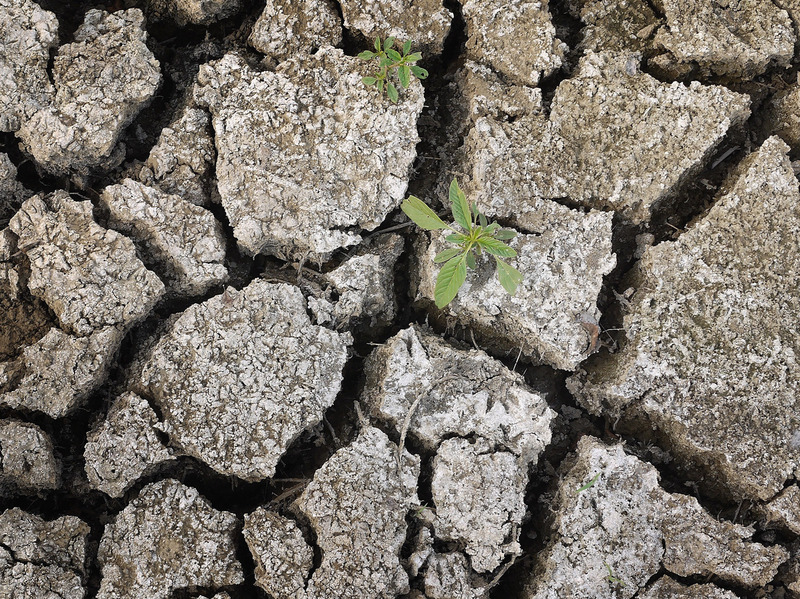 Weather Underground's Jeff Masters adds that the costs associated with this drought "are certain to be many billions of dollars, and the disaster could be one of the top 10 most expensive weather-related disasters in U.S. history." As he points out, "droughts historically have been some of the costliest U.S. weather disasters." Bryn Bird, a second generation farmer from central Ohio, tells All Things Considered's Robert Siegel that this spring looked promising. She said it was mild and many farmers had an early start. But, now, it looks like most of their sweet corn crop will be lost to drought. That means that Bird and her family will take a $30,000 to $40,000 loss. "For a family farm," she said, "that's a significant loss." Also, she said, because sweet corn is not a commodity crop, it can't be insured. If the drought continues, Bird said, the sweet corn could become livestock feed. Her family, she said, has also turned to growing more tomatoes to deal with the drought. More of Robert's conversation with Bird will air on tonight's All Things Considered.